Arup Associates has received a bronze award by the prestigious American Architecture Prize, in the recreational buildings category of its 2016 edition, for the stunning design of Doha’s newest tennis facility. 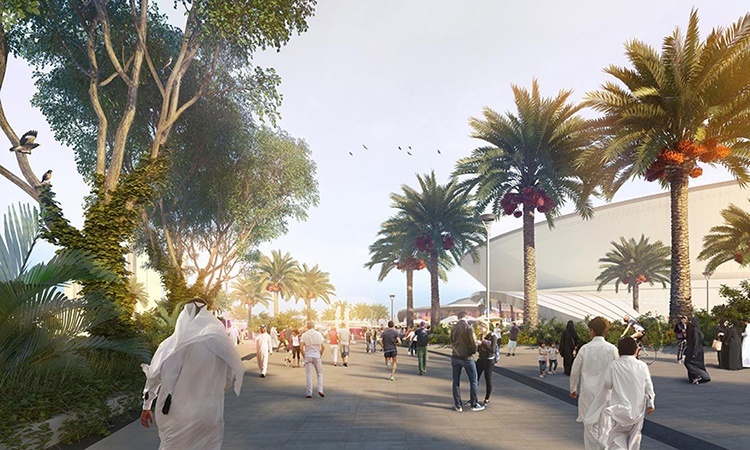 The award and the project are highly recognized in Qatar’s capital, as the ATP Tour Doha Open is the most popular sports event of the year and its current stadium dates back to the early 90’s. A perspective on the surroundings of the Doha Tennis Stadium. Copyright: Arup Associates. Doha Tennis Stadium – Bird’s Eye View. Copyright: Arup Associates.